Microblading (or eyebrow embroidery) is a relatively new, manual method of permanent make-up. It is considered to be semi-permanent, as compared to the traditional hairstroke technique. It is done using a very fine tool to deposit pigments into the epidermis. Because we’re impacting color closer to the surface, the strokes appear crisp and very fine. There is no “spilling” under the skin. This method is ideal for anyone wanting to enhance the look of their eyebrows. The results are natural looking, hair-like strokes, regardless of the amount of hair present. People who should not get Microblading are those with diabetes, taking blood thinners, breast feeding, under going chemo therapy & other possible contraindications. The pigments used in this method have been formulated to match your original eyebrow color, and if the eyebrows are still present, blend perfectly into them. The results are a natural, flawless, fuller looking brow. 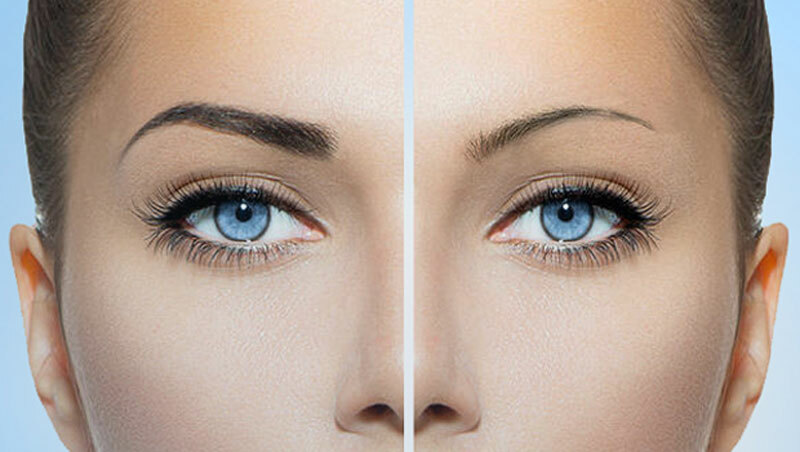 Initially, the brows appear darker, but fade significantly over a two week period. It is absolutely crucial to have a touch up done, as it is very difficult to predict how well the skin will retain the pigment. The results can last up to 2 years, depending on different factors affecting the procedure. However, a touch up once a year is recommended to retain the shape and saturation of pigment. Required 4 - 6 week touch-up.